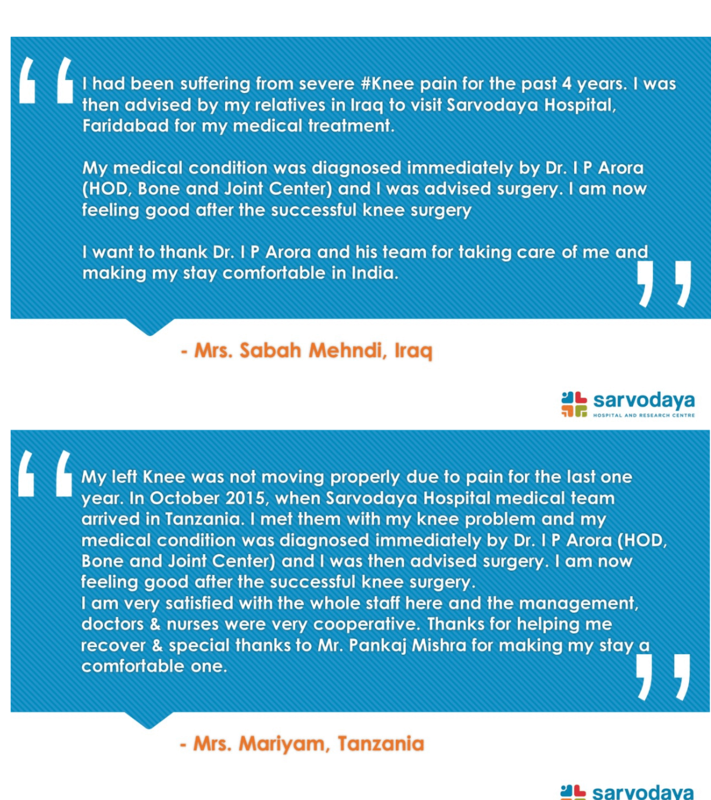 Excellence in patient care, treatment, and patient well-being is the overall goal of Centre for Bone & Joint at Sarvodaya. The centre provides a comprehensive and integrated orthopaedic program for patients. 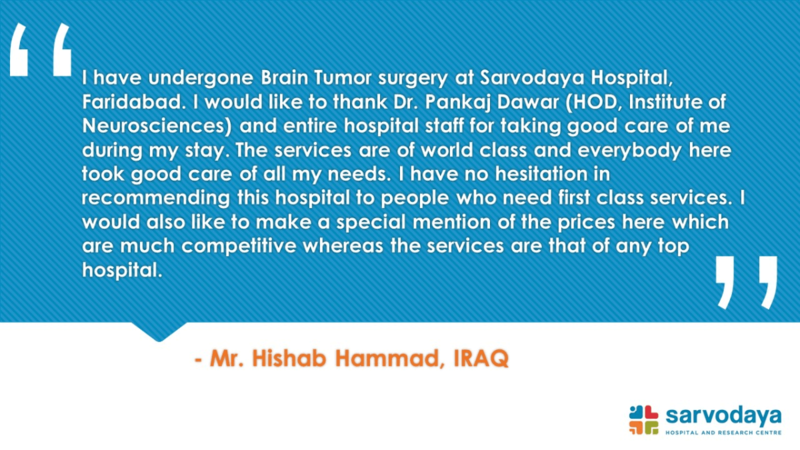 Manned by highly qualified orthopaedic doctors in Faridabad, the centre is recognized for the quality of its services. It has established itself as a centre of treatment for all kinds of traumatic and non-traumatic orthopaedics problems. Over the years it has started speciality clinics in the field of spine, joint replacement, orthopaedic oncology, arthroscopy and paediatric orthopaedic. The Centre also has attached and well-equipped Physiotherapy and Occupational Therapy units. The department provides comprehensive services for admitted patients on conservative treatment or for pre-operative care, intra-operative care, post-operative care and follow up care. The department has backup of laboratory and imaging services which includes X-ray, PET CT scan, MRI, DEXA SCAN, Nerve testing (NCV). A total knee replacement is a surgical procedure whereby the diseased knee joint is replaced with artificial material. The knee is a hinge joint which provides motion at the point where the thigh meets the lower leg. During a total knee replacement, the end of the femur bone is removed and replaced with a metal shell. The upper end of the lower leg bone (tibia) is also removed and replaced with a channelled plastic piece with a metal stem. Computer Navigation:- Sarvodaya is equipped with latest navigation machine to have accuracy in implant alignment. Kinematic Allignment:-With new techniques of kinematic alignment bone cuts are minimized and ligament are preserved.. Muscle Sparing: In this technique muscles in front of knee are not cut & knee is exposed keeping muscle fully intact by taking it to one side. 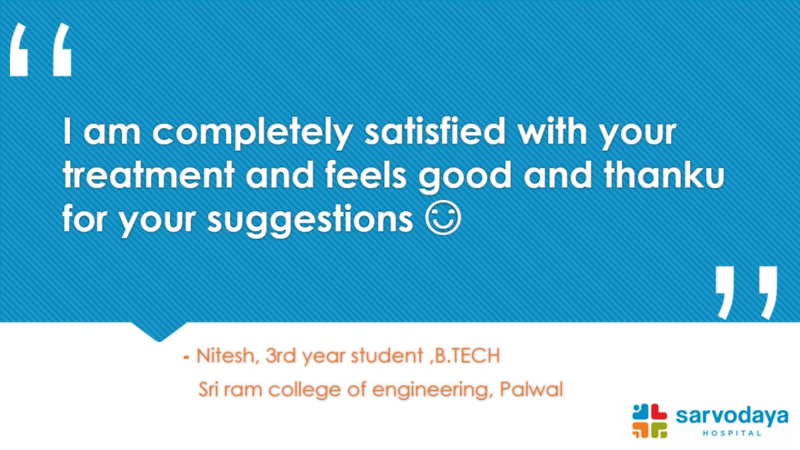 It is technically demanding but result of TKR are encouraging. Patient requirement for physiotherapy is minimized and muscle functions are restored early. High Flex Knee:-Majority of patient undergoing TKR at Sarvodaya are implanted high flex knee which can help the patient in sitting crossed-legged and squatting. Ligament Sparing TKR (CR):- We can use ligament sparing techniques to have optimal function of knee after TKR. Cruciate retaining (CR) knee give better function of knee. Both cruciate lig sparing (XR) Knee are future knee which when imported in India will be giving almost normal knee function. No Suture Removal: - After knee replacement self dissolving suture are applied and patient are not asked for suture & staple removal. Also cosmetically knee looks better. Minimal Pain Following TKR:- To minimise pain following surgery, we use patient controlled analgesia(PCA) using Epidural pump, skin patches and physiotherapy to minimise the requirement of narcotics. Virtually knee replacement surgery becomes painless. Patient is made to walk next day following surgery and fully functional after one month of surgery. A total hip replacement is a surgical procedure whereby the diseased cartilage and bone of the hip joint is surgically replaced with artificial materials. The normal hip joint is a ball and socket joint. The socket is a "cup-shaped" component of the pelvis called the acetabulum. The ball is the head of the thighbone (femur). Total hip joint replacement involves surgical removal of the diseased ball and socket and replacing them with a metal (or ceramic) ball and stem inserted into the femur bone and an artificial plastic (or ceramic) cup socket. The metallic artificial ball and stem are referred to as the "femoral prosthesis" and the plastic cup socket is the "acetabular prosthesis." Upon inserting the prosthesis into the central core of the femur, it is fixed with a bony cement called methylmethacrylate. Alternatively, a "cementless" prosthesis is used that has microscopic pores which allow bony ingrowth from the normal femur into the prosthesis stem. This "cementless" hip is felt to have a longer duration and is considered especially for younger patients. Total hip replacement is also referred to as total hip arthroplasty. Total hip replacements are performed most commonly because of progressively worsening of severe arthritis in the hip joint. The most common type of arthritis leading to total hip replacement is degenerative arthritis (osteoarthritis) of the hip joint. This type of arthritis is generally seen with aging, congenital abnormality of the hip joint, or prior trauma to the hip joint. Other conditions leading to total hip replacement include bony fractures of the hip joint, rheumatoid arthritis, and death (aseptic necrosis, or avascular necrosis) of the hip bone. Hip bone necrosis can be caused by fracture of the hip, drugs (such as chronic use of prednisone and prednisolone), alcoholism, and systemic diseases (such as systemic lupus erythematosus). The progressively intense chronic pain, together with impairment of daily function including walking, climbing stairs, and even arising from a sitting position, eventually become reasons to consider a total hip replacement. Because replaced hip joints can fail with time, whether and when to perform total hip replacement are not easy decisions, especially in younger patients. Replacement is generally considered after pain becomes so severe that it impedes normal function despite use of anti-inflammatory and/or pain medications. A total hip joint replacement is usually an elective procedure, which means that it is an option selected among other alternatives and can be scheduled on a routine basis. It is a decision that is made with an understanding of the potential risks and benefits. 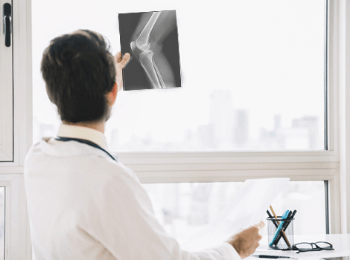 A thorough understanding of both the procedure and anticipated outcome is an important part of the decision-making process with the orthopaedic surgeon. The department is armed with a dedicated clinic for treating sports-related injuries with the emphasis on core strengthening, thereby helping the sportspersons to quickly regain their peak performance. The arthroscope is a small fiber optic instrument that can be placed into the shoulder joint through a small incision. A camera is attached to a TV monitor, and pictures can be taken. The arthroscope allows a complete evaluation of the entire shoulder joint, including the ligaments, the rotator cuff, the biceps tendon, the joint lining, and the cartilage surface. Small instruments ranging from 3-5millimeters in size are inserted through an additional incision so that any injuries can be diagnosed, and damaged tissue can be repaired,reconstructed, or removed.Before the development of arthroscopy, large incisions had to be made over the shoulder joint to treat or diagnose injuries. Today’s arthroscopic techniques allow more complete evaluations of the joint while accelerating the rehabilitation process. Arthroscopy diagnoses several knee problems, such as a torn meniscus or a misaligned patella (kneecap). It can also reconstruct the ligaments of the joint. There are limited risks to the procedure and the outlook is good for most patients. If you are awake, you may be able to watch the procedure on a monitor. We have delivered a new super speciality of hand in the department of orthopaedics manned by highly qualified and trained orthopaedic surgeon. 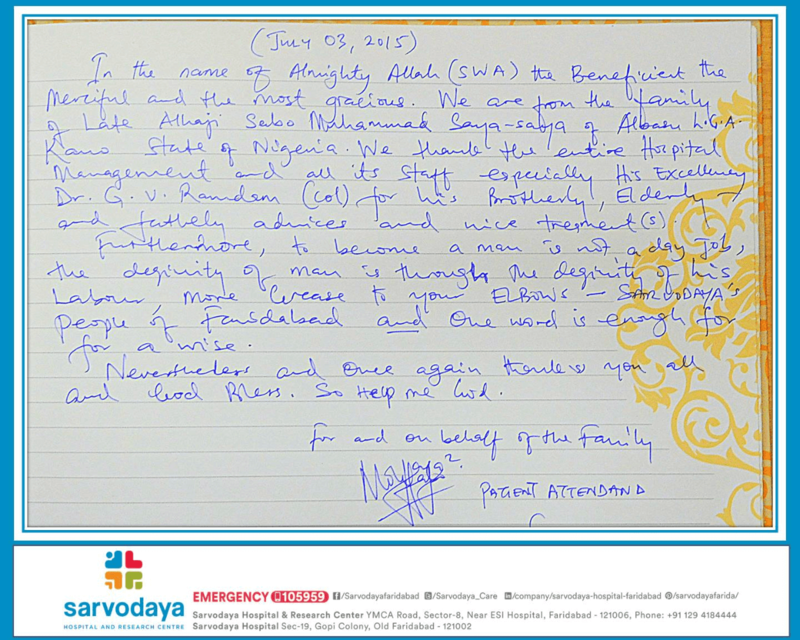 Complex hand trauma and limb re-implantation surgery is done in this centre with excellent result. Arthroscopic PCL and shoulder surgery are all being practiced with excellent results. The Orthopaedic OPD provides consultation for all major and minor orthopaedic cases including comprehensive care for arthritis patients.